March is National Girl Scout month and this year marks the 100th anniversary of this wonderful organization . I remember when I was a young girl going to Girl Scouts. It was always so excited to get my green Girl Scout uniform on and go to the troop meetings. We would get to create various crafts in order to earn merit badges for our sashes and vest – a true sign of achievement and honor. The camp outs were always my favorite. Not only were a ton of fun, but the stories and times the other troops and I shared have lasted a lifetime. 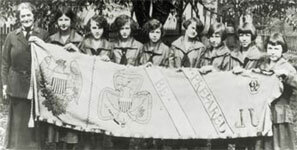 Juliette Gordon Low founded the Girl Scouts on March 12th, 1912. But it wasn’t until the early 1930’s that the Girl Scout troops started selling their famous cookie sales. Once a year the troops have their annual cookie sale and the girls will often have contests to see who could sell the most cookies (another HIGHLY sought after achievement). Proceeds from the cookie sales are used to help fund the troops various fun events throughout the year such as camping, horseback riding, and sometimes international travel. A portion of the cookie sale proceeds are also donated to help out the local community. Mix finely crumbled shortbread cookies, sugar and melted butter in bowl until crumbs are moist. Press into 9 inch pie plate, cover with plastic wrap and chill for one hour. Preheat oven to 325° F and bake crust for 10 to 12 minutes. Remove pie crust from oven and allow to cool completely before adding pie filling. Prepare instant pudding according to package directions replacing milk in recipe with half & half. Whisk pudding mixture for two minutes then mix in the pieces of broken cookie. 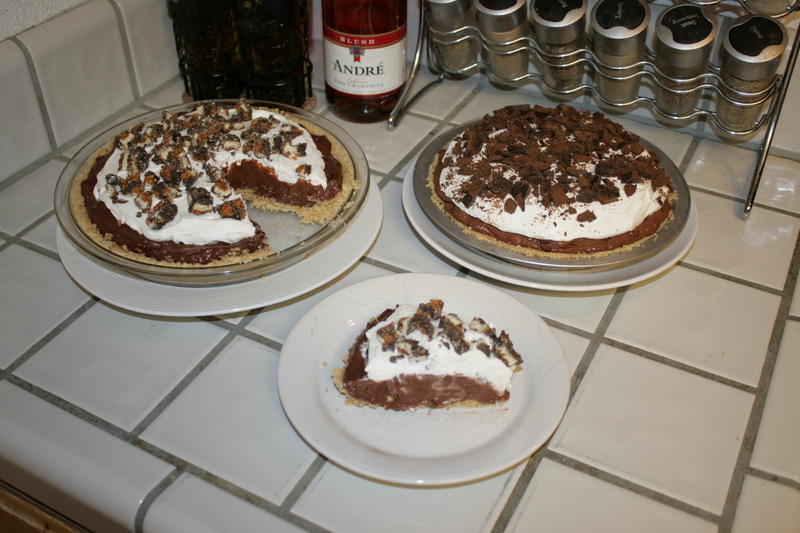 Fill prepared pie crust with pudding mixture and chill in refrigerator for one hour. Whip heavy whipping cream in mixer with sugar and vanilla until thick. Remove pie from refrigerator and top with whipped cream. Sprinkle some broken cookies on top and serve.